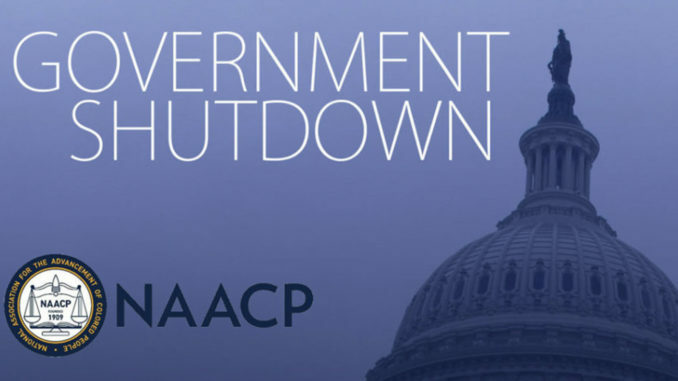 In a statement released last week the NAACP called on the White House and Congress to work swiftly to bring an end to the current, partial shutdown of the federal government in a way that does not compromise the integrity of the nation. The organization highlighted how the world has seen historically from Berlin to China, walls don’t work, and it is not an effective way to remedy America’s broken immigration system. 800,000 government workers have entered the fourth week without pay. The shutdown not only impacts these workers and their families but also millions of others who depend on government agencies. Many government workers are continuing to share their stories via #ShutdownStories. As noted by the NAACP, it is clear from their postings that this shutdown has put them in an untenable position. NAACP officials further shared their belief that the shutdown is nothing more than, “a veil attempt to spread his xenophobic rhetoric to his base and scare others into thinking that this wall is needed while holding government workers as political hostages. The NAACP ( The National Association Advancement Colored People) realistically should be unconditionally without any mental reservations or evasion conviction Allegiance to Boarder Wall protecting illegal Immigrants into the United States and be 100 percent for nothing less than Screen Selected Inclusive Immigrants via their Country applied for and approval through our United States Embassies located in each Country in the World that will secure and protect Affirmative Action total Inclusiveness for Emancipated Ancestry Slaveforeparents African Americans for Life, Liberty and the Pursuit of Happiness along with Screen Selected Inclusive Immigrants and Traditional American Citizens. Illegal Immigrants pouring into the United States that is robbing Americans of Vocational Specialists, Medical Professionals, Entrepreneurs and maintaining Domestic Tranquillity and Common Defense thereof the United States of America. Blind Political Expediency Hatred and Ignorance of the Deliverance Entity of African Americans 1863, 1875, 1954, 1957, 1960, 1970 Todate gives validity and Integrity of the 3rd World Socioeconomic Settings in Urban and Rural African American Communities in the United States. 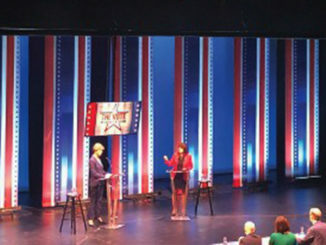 Naysayers, Skeptics, Political Expediency Playerhaters will Rebelliously disagree but the realistic Facts the Southern Border Wall is a National Security Defense to protect the Common Defense of the United States of America from these Foreign Invading Caravans of non Screen Selected Inclusive Immigrants into the Greatest Society and Nation in the History of Man and Woman Kind. NAACP YOU ARE ABOUT THE ADVANCEMENT OF THE PEOPLE OF COLOR.